I have already mentioned the Selkaths in the Holocron section's Custom intro article. I have even depicted a manaanian creature with the help of my own handmade custom Selkath figure. This time we will take a closer look on this race, and discuss why are they important, and what role they have in the Star Wars Expanded Universe. In the era of the game the Selkath civilization has grown up, made a good progress, and developed high-technologies during the centuries of the Old Republic. Their architecture is stunning, Ahto City was a tremendous, shell-shaped structure that floated on top of the water's surface, a modern mega complex, with some docks, an airport, an own swoop track, hotel, shops, and other recreational facilities. The different regions of the mega complex were connected with long corridors; and the Sith Embassy and Republic Embassy were located in Ahto City's two opposite corners, well separated, and far away from each other. 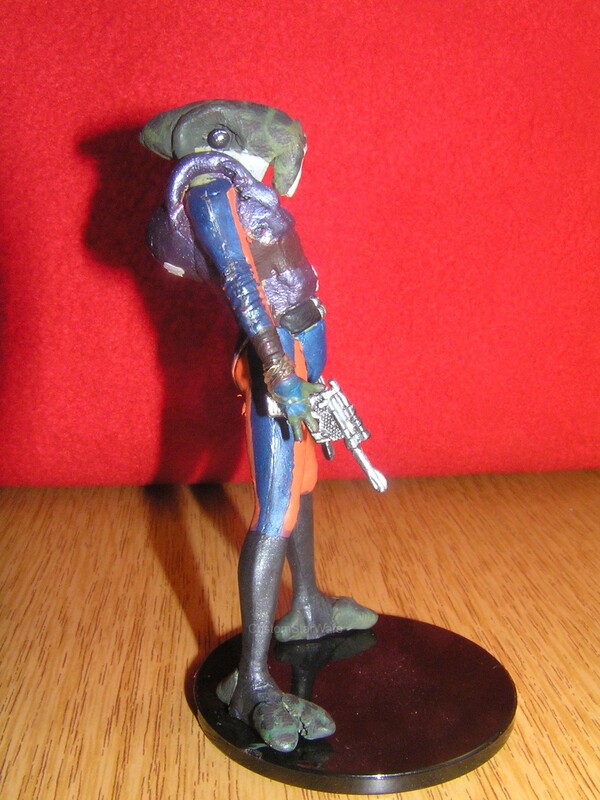 Planet Manaan had a strategic importance. 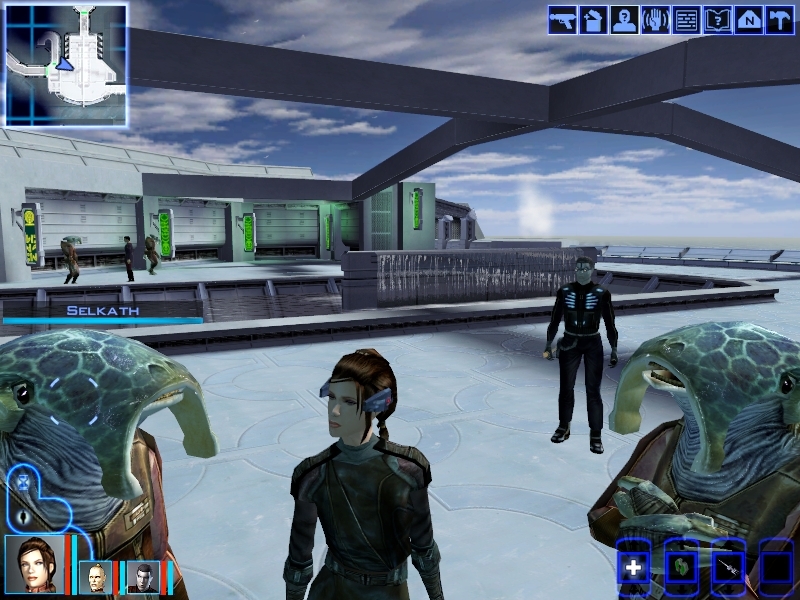 Not only because of its location, but also because of its very valuable natural resource, since Manaan was the only naturally occurring source of kolto. Kolto is very similar to bacta. Kolto was a liquid that contained unique healing properties, it was a rare, and valuable raw material, which couldn't been artificially synthesized, or copied. Both great Empires (the Sith and the Republic) are racing to be the only "friend" of Manaan, but every diplomatic efforts, and every will or act is just about to grab the kolto sources. 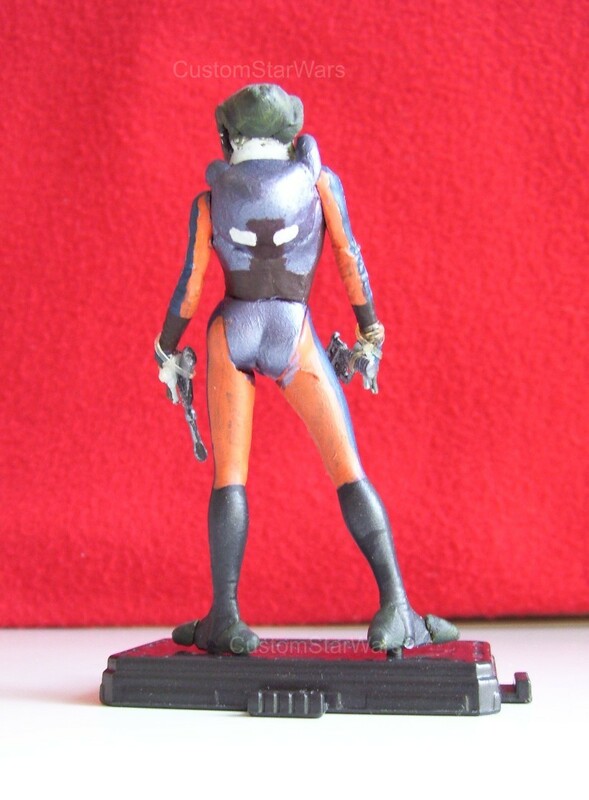 Manaan does not want to involve the politics, they held tightly to their neutrality, but they can maintain this state harder and harder every other day. 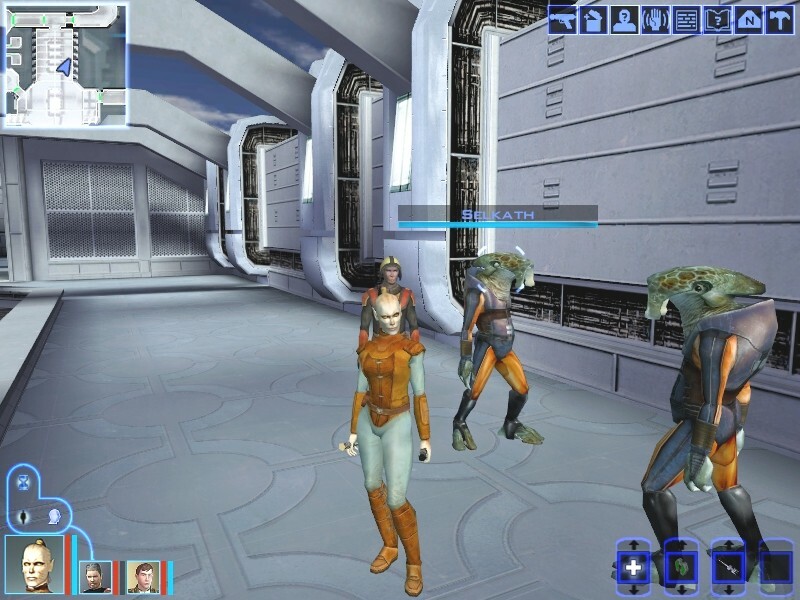 Due to the intergalactic race of the Sith Empire and the Old Republic harsh sanctions were imposed by the Selkaths, just to protect themselves, their world, and the kolto. Manaan refused to condone violence of any sort, whoever violated the rules would be punished. The streets of Ahto City are being monitored with security cameras, and their recordings can be used as evidence in a trial. Yet, the Sith often goaded Republic soldiers into street fights, but at least shoot outs were rare. 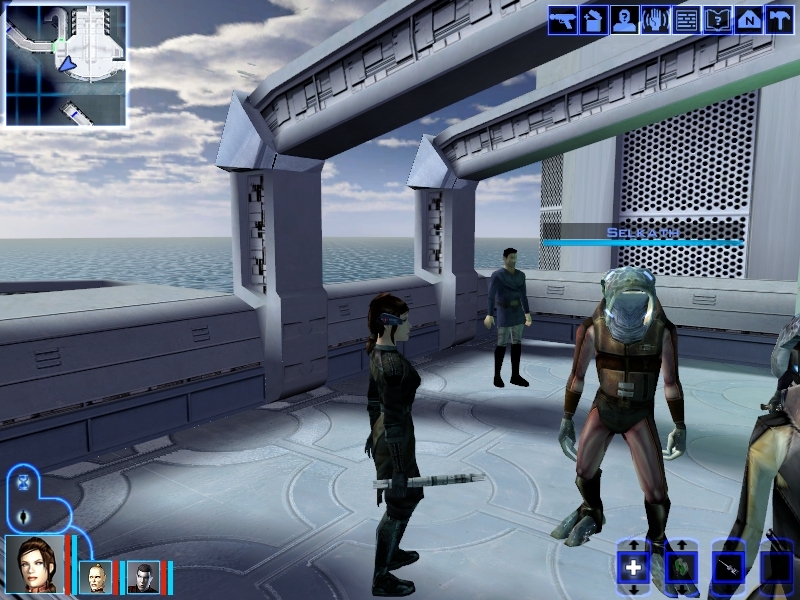 Revan meets two survivor scientist down there. He was informed about the two possible chances. He can make an attempt to disable the kolto Harvester and the whole complex by detonating it, causing a large property damage, or he can release a chemical into the water to poison the firaxa creature and her younglings, but this method would threatened and polluted the pure kolto. The player has a difficult choice, but either way Revan will be questioned by The High Court. The High Court consisted of twelve respectful, wise, and strict Selkath justices. 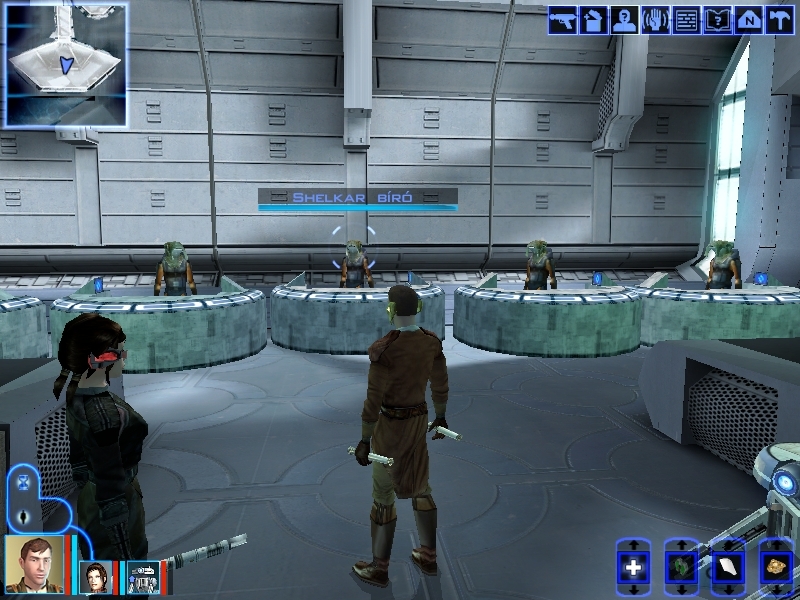 (I feel the Gungan Elders very similar to the Selkath Justices again.) 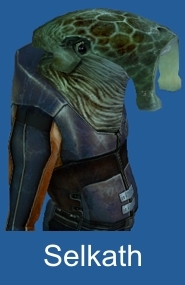 If he rescues the shark's life and the kolto, he will be cleared from charge, but if he poisons both of the shark and the kolto he will be sentenced, but finally graced, but will be banished for good from Manaan. Previously Revan has helped them to shed light on the Sith Empire's cruel plans, since the Sith kidnapped several Force sensitive Selkath youths and trained them in the ways of the Force, to bind them to the Sith and enable them to take over the government one day. Revan found the lost manaanites, and with Bastila the renegade Selkaths were redeemed, who were warned no to listen to the Sith lies, and were called upon to return to the Light, and to their homes. One of these young Selkaths was Shasa, who will be a Jedi later on, and the one who found the Order of Shasa. This Order secretly trained some Force-sensitive Selkath for the Republic, and some Selkath Jedi will even survive Darth Vader's "search and destroy" campaign, too. 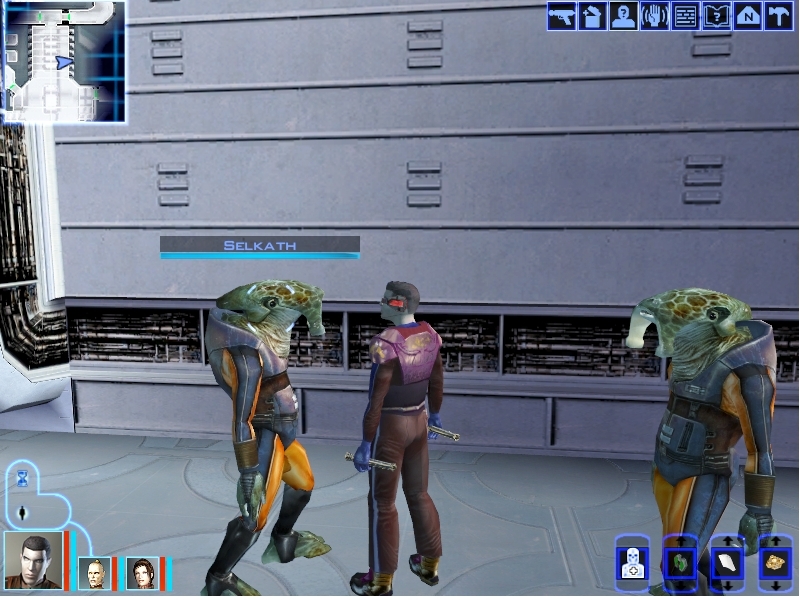 But not only Selkath youths were found, but Revan found the next piece of the Starmap down there on the Manaan sea bed. 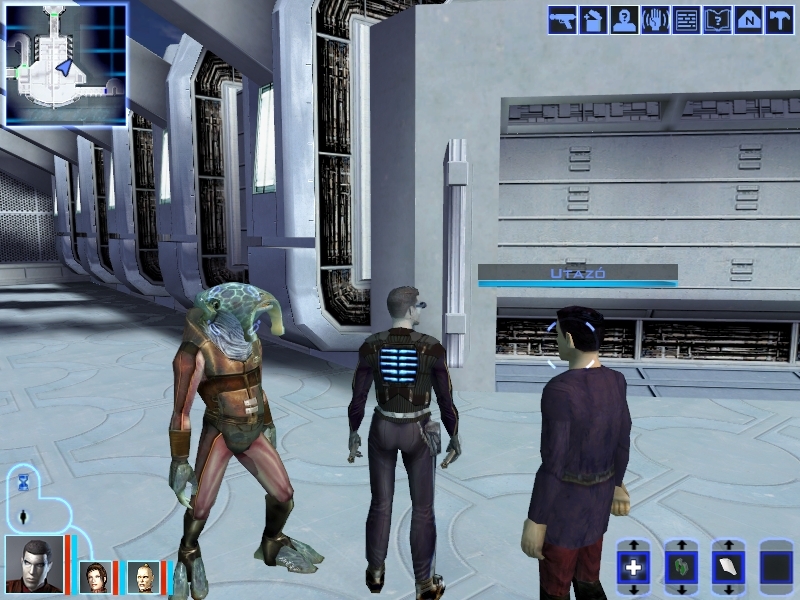 Anyway, Manaan has a lot of exciting adventures, and that is one of the most beautiful planet of the game, and an interesting experience to chat with the Selkaths, because their voice is unbelievable awesome! Their have a sloshing gurgling voice, the developers have made a terrific work when they created the Selkath outlook, the Selkath sound, their story, and everything! The manaanite creatures have long arms, and thin legs. They have a large head, with lateral eyes in large eye sockets. Their skin are similar to a fish, blotchy. I could distinguish two different race, the first had grey-colored skin with blue patterns, the other race had greenish-colored skin with interesting brownish-dark green patterns. 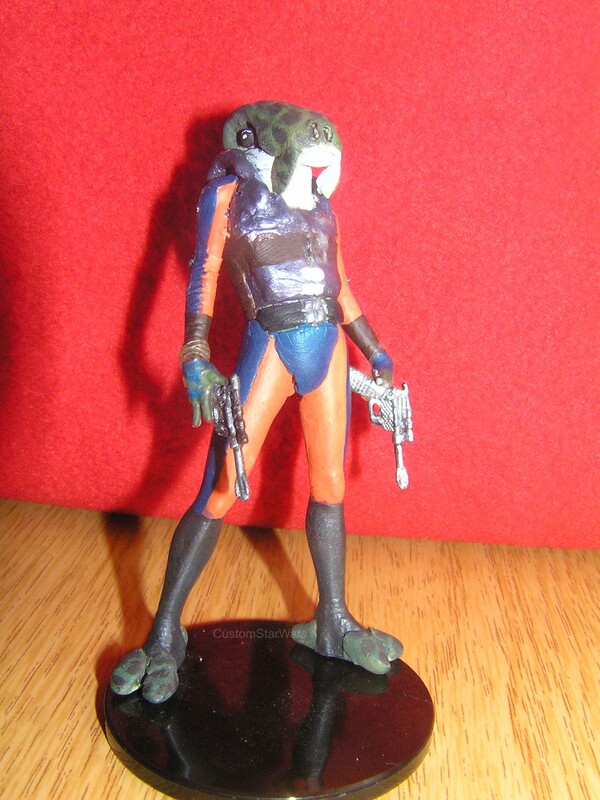 I liked these, so I made a custom Selkath figure from this race, a greenish-colored skinned, orange-blue outfit Selkath. The Judges are from this species, and look the same. 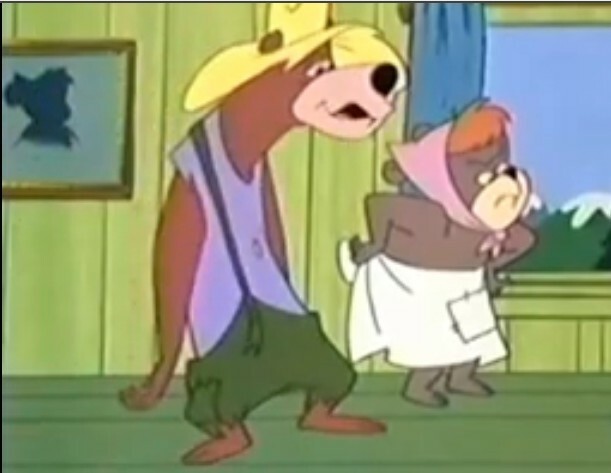 The other race wear a yellow-brown, or bourdon-brown clothing. 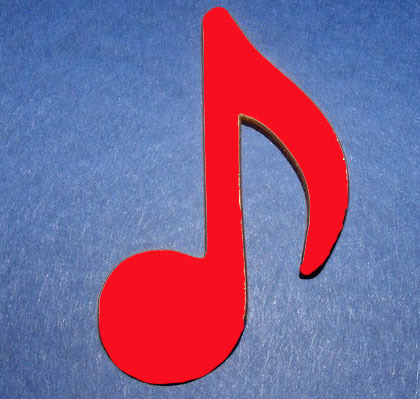 The most of the local citizens standing about the streets wear this kind if uniform. You can watch a bourdon and a yellow Selkath in this illustration. This might be just enough to introduce the Selkath race, and a custom figure. I hope you liked the article, if so, join us next time too, because there are going to be some more cool protagonists, bad guys, soldiers, species, creatures, robots, and neutral NPC-s here at CustomStarwars! Take a look at my custom Selkath figure! Thanks for your attention, visit back soon! 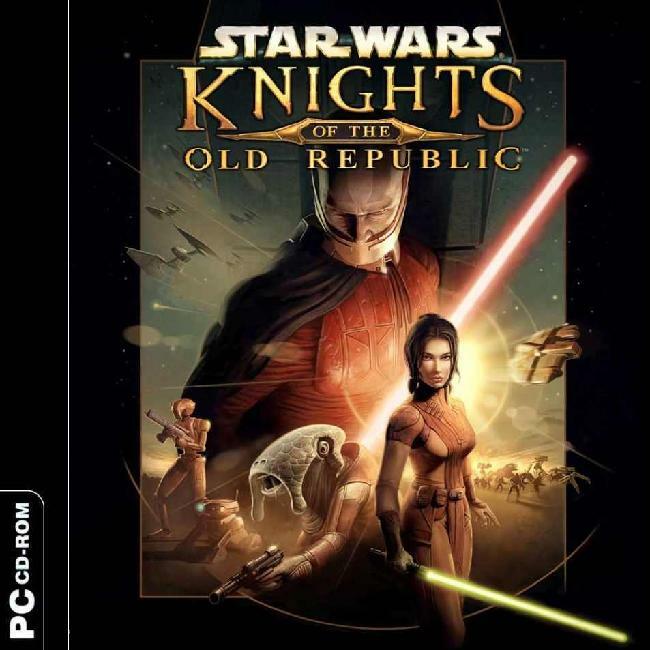 Click this picture, get back KotOR1 section, and choose from more KotOR1 characters!